Cottonwood Falls bed and breakfast travel guide for romantic, historic and adventure b&b's. 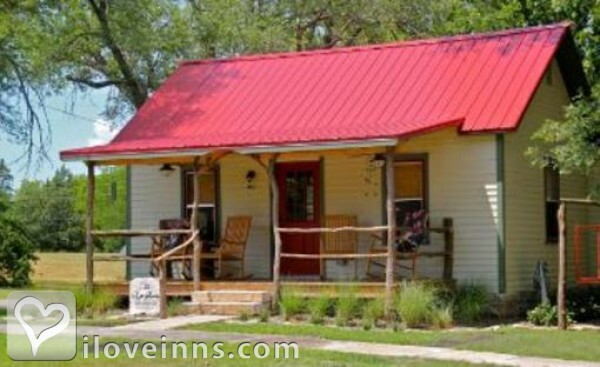 Browse through the iLoveInns.com database of Cottonwood Falls, Kansas bed and breakfasts and country inns to find detailed listings that include room rates, special deals and area activities. You can click on the 'check rates and availability' button to contact the innkeeper. Historic Cottonwood Falls is in the picturesque Flint Hills of Kansas. Be sure to take a tour of the Chase County Courthouse built in 1873. It was constructed from local limestone and has a majestic three-story winding Walnut staircase. Close by is Tallgrass Prairie National Park, the largest (39,650 acres) protected remnant of tallgrass prairie left on earth with 2500 Bison roaming freely. Shop for antiques, eat delicious local fare, horse-back ride, hike, and fish or just rejuvenate near the peaceful Cottonwood River for a perfect home away stay. By The Lark Inn Guesthouses.